Whether you run an apartment complex, a boutique store, or a mall, we've got you covered. Protect the future of your business with complete HVAC services from the expert team at Frontier A/C. Yes, it’s possible to stay comfortable while saving on HVAC bills and enjoying clean, cool air! Turn to Frontier A/C for the care you can trust all year long. Financing is available and incredibly simple to obtain. Visit our financing page, and find out more information on how to finance your AC needs. Currently offering a FREE Ecobee Thermostat! 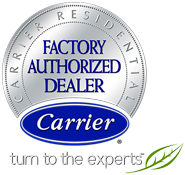 Frontier A/C Heating and Refrigeration was founded more than a decade ago with one goal in mind — to provide the best and most trustworthy service available. As a family owned and operated business, Frontier is both humble and reputable. Our mission is to provide superior service to all of our customers, which is made possible through our employees’ integrity and continuing education.